A former chief of the International Atomic Energy Agency has challenged a report delivered by the IAEA in November on Iran’s nuclear activities, pinpointing that the agency receives unverified intelligence, mostly from the US and Israel. In an exclusive interview with Qatar-based news network, Al Jazeera, on Saturday, Hans Blix stated that the IAEA received information from a variety of sources, mostly from the United States and Israel. “My view is that they must assess it very carefully and critically because otherwise they can be pulled by their noose,” he asserted. “I remember from inspections in 2002 and 2003 that there was a famous document that allegedly to be a contract between Iraq and Niger for the import of yellow cake of uranium oxide quoted by [former US] President [George W.] Bush in his State of the Union message. The IAEA had it for one day and concluded that it was a forgery. [Former IAEA head, Mohamed] ElBaradei then announced it was not authentic. That shows how careful you have to be,” Blix stated. The UN nuclear agency’s current Director General Yukiya Amano issued a report on November 8, accusing Iran of pursuing military objectives in its nuclear energy program. Tehran argues that, as a signatory to the nuclear Non-Proliferation Treaty and a member of the IAEA, it has the right to develop and acquire nuclear technology for peaceful purposes. The IAEA has conducted numerous inspections of Iran’s nuclear facilities, but has never found any evidence of diversion in the country’s nuclear activities. Blix likewise noted that Iran had been very cooperative as to allowing the IAEA experts to visit the Parchin military base, situated some 28 kilometers (18 miles) southeast of the capital Tehran. He highlighted that it was typical for any country to be rather reluctant and not let international inspectors go anywhere in such venues. Nevertheless, Iranians have been more open than most other countries, he said. Israel, always vociferous in its accusations against Iran’s nuclear energy program, is itself widely known to possess between 200 and 400 nuclear warheads. Tel Aviv, however, refuses to allow its nuclear facilities to come under international regulatory inspections and rejects all the regulatory international nuclear agreements. Blix also called on the Western states to support Iran’s bid to join the World Trade Organization (WTO) and assist the Islamic Republic’s civilian nuclear program. 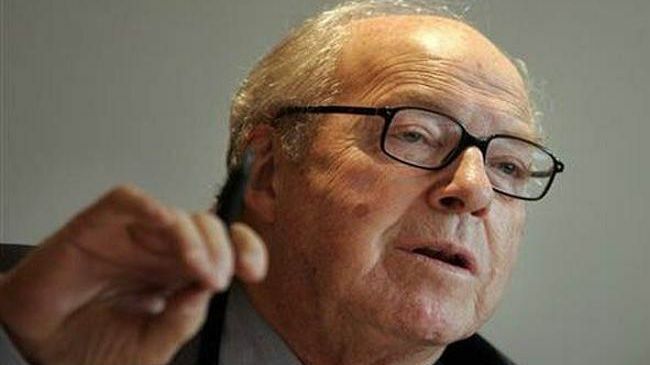 Furthermore, the former IAEA chief condemned the assassination of Iranian nuclear scientists, stressing that such actions could not deter Tehran’s nuclear energy program.